The drug is the whole herb of Gnaphalium hypogleucum DC. ex Wight (Family Compositae), growing on grassslopes, in edge of woods, along roadside, in sandy areas, distributed in Henan, Shanxi, Gansu and Eastern China, Middle China, Southern China and Southwestern China. 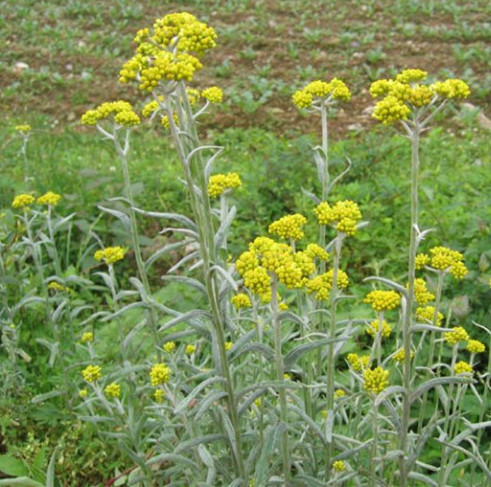 The whole herb is used as antirheumatic and antitussive, for the treatment of common cold, cough, asthma, rheumatism, dysentery, scrofula, eczema, ulcers of lower limb.